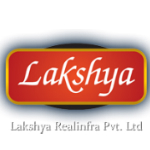 Lakshya Realinfra Pvt. Ltd. which was formed in the year 2008 aims to set and surpass new benchmarks through conscious, consistent and concerted display of dynamism, unwavering commitment to customer satisfaction and excel in all its purposeful pursuits through quality, integrity and efficiency. To identity and develop properties that inspire and integrate value creation, impeccable quality, modernity and excellence aimed at fostering an ever-lasting bond of customer relationship built on trust, confidence and customer delight while adhering to principles of ethics and professionalism. Right from its inception, Lakshya Realinfra Pvt. Ltd. has been working with an objective of enhancing the life style of people and providing them with better living and investment options. Carrying a philanthropic approach under the supervision of great visionaries, the company aims at its fast paced development and of the society as a whole. Lakshya has evolved into one of the fastest growing real estate development companies in India. With the primary business being the development of properties in residential, commercial and retail sectors, the company's operations span across various aspects of real estate development, such as Land Identification and Acquisition, Project Planning, Designing, Marketing & Sales, and Project Execution.